Topics: Whiteboard Wednesday, Linear Friction Welding, What is Friction Welding? 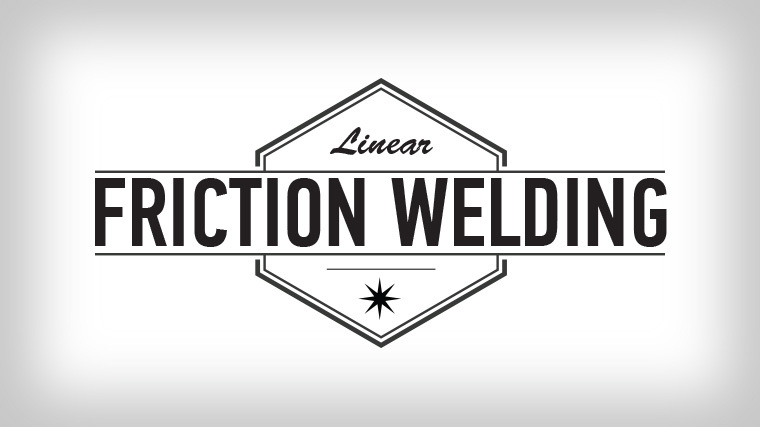 Linear friction welding is a solid-state joining process that uses relative motion and high force in order to create enough heat to create a two-piece forging. In linear friction welding, one part is moved back and forth rapidly in a linear reciprocating motion while the other part is forced into it, generating enough heat between the two parts to forge them together. Comparatively, with rotary friction welding we know that one of the two parts that are being welded needs to be able to rotate. Since no rotation occurs with linear friction welding, it allows much more freedom to use complex geometries. Picture a bladed disk used in a jet engine application (similar to a giant metal fan with several blades). In this case, we are taking near net shape blade forgings, or pieces that already closely resemble the finished shape, and welding them to a center hub. Instead of machining the entire bladed disk out of a solid piece, we are able to weld smaller, individual blades together, which makes it much less expensive. The first benefit to note is that linear friction welding is at least twice — and up to 100 times — as fast as traditional welding techniques. Multiple pieces can be bonded simultaneously, helping to reduce cycle time and meet the high-volume demands of the automobile industry. Secondly, solid-state joining allows you to take advantage of the current trend in the automobile industry to try to reduce the amount of mass that goes into the vehicle. Traditional welding techniques use additional metals to create strong welds which in turn, adds more mass. Alternatively, fusion welding techniques create a weaker joint (compared to the parent material), so the part needs to be made larger to compensate for the weaker joint strength. Since linear friction welding is a solid state joining process, no additional materials that create additional mass are needed. By reducing the mass with linear friction welding, vehicles weigh less and are therefore more fuel efficient. Linear friction welding allows you to do high volume applications, near net shape applications, and complex geometry applications — all with the benefit of solid-state joining. If you believe you are missing out on opportunities to save time and money within your manufacturing process, talk to MTI today. Our expert engineers can analyze your processes and identify new techniques that could potentially increase your businesses productivity. We’ll build a machine that makes your part, we’ll make the part for you, or we’ll help you make the part even better. Learn more about linear friction welding and the advantages it can bring to your manufacturing process. 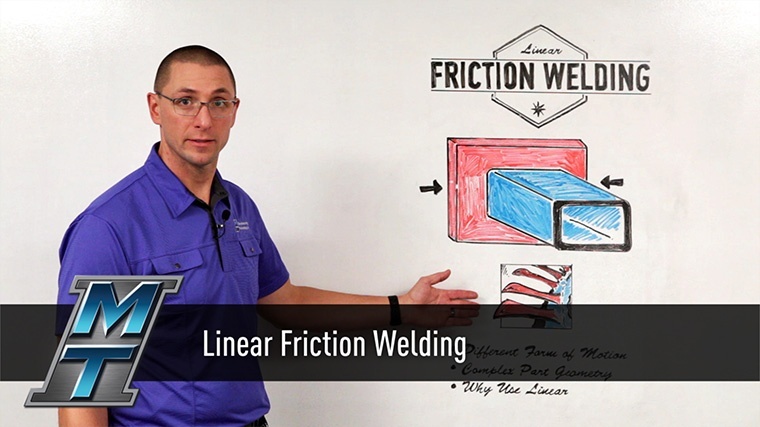 And watch how friction welding can be put to work for you.